Newsweek had an article on some of the trendiest, bizarre, and most trafficked conspiracy theories of 2009. The Muslim spy intern conspiracy made it to #9 and it had ole’ Robert Spencer in a fit. He railed against it with all the ineptitude, innuendo and verbal diarrhea we are used to from his clownish ways. Calling it “journalistic irresponsibility” and “bias,” etc. 9. The Council on American-Islamic Relations is trying to infiltrate Capitol Hill and spread jihad. 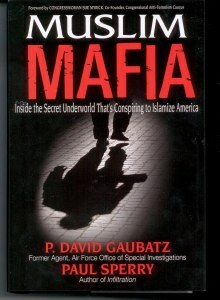 Author Dave Gaubatz alleges that the mainstream group is both connected to Islamist terrorists and international jihad and is working to infiltrate the American government by placing interns on Capitol Hill. Proponents: Dave Gaubatz, Sen. Tom Coburn (R-Okla.), Rep. Sue Myrick (R-N.C.), Joseph Farah. Kernel of Truth? CAIR has tried to place interns on Capitol Hill, but as it points out, that’s standard practice for advocacy groups of all types and allegiances. There’s no proof of sinister motives or an effort to encourage international jihad. Robert Spencer, is the Pope a Dhimmi? They succeeded in their infiltration! Hussein Obama, the leader of al queada in america! Hmmm–Gaubatz, isn’t that they guy who infiltrated CAIR and stole a bunch of their documents? Do I sense some projection here? w007 w007 nice article. I didn’t see that issue of Newsweek, I’ll definitely have to check it out now.